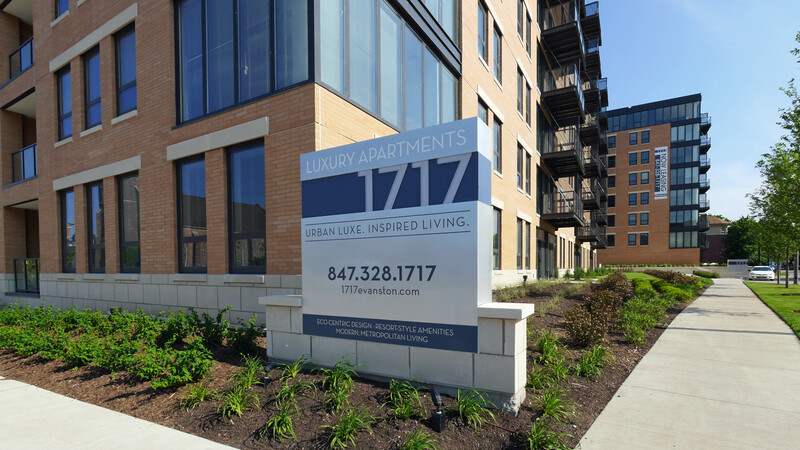 1717 is a new 8-story, 175-unit apartment building at 1717 Ridge Ave in Evanston. 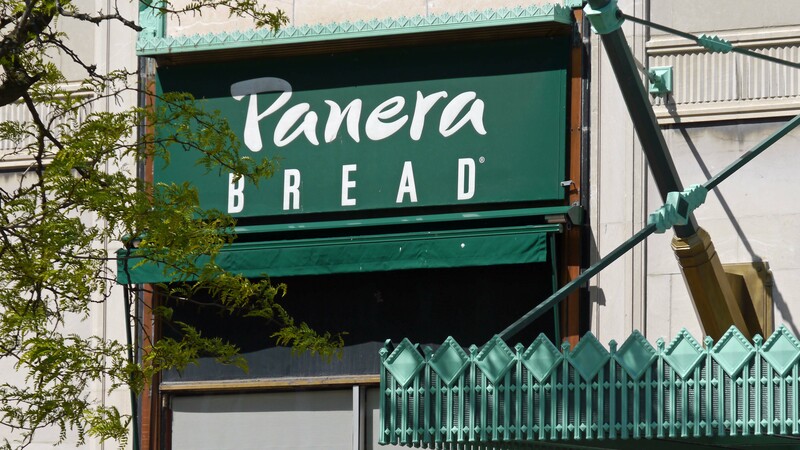 The building was completed in 2013 and has received LEED Silver certification from the U.S. Green Building Council. 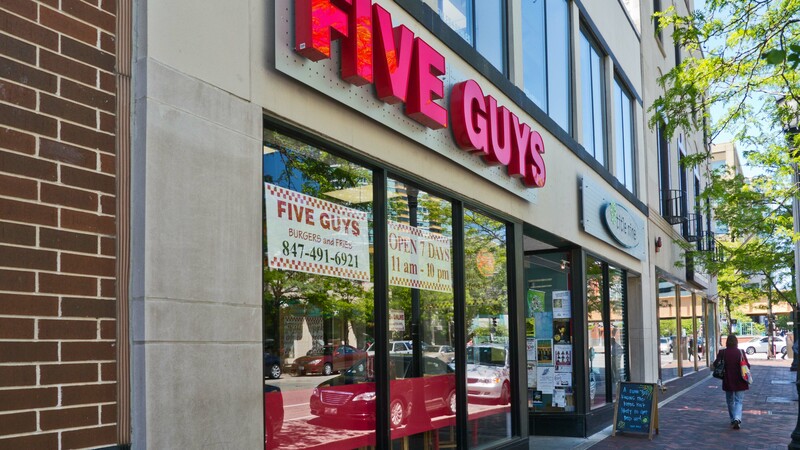 The development team included Focus Development and Atlantic Realty Partners. 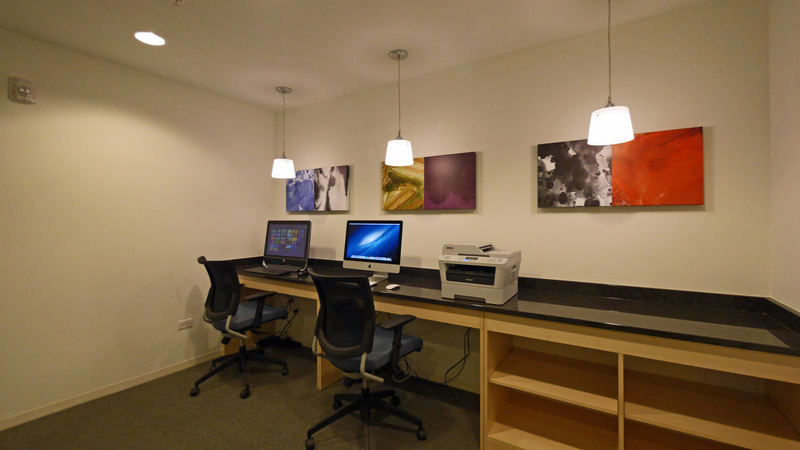 Focus was the general contractor and Booth Hansen the architecture firm. 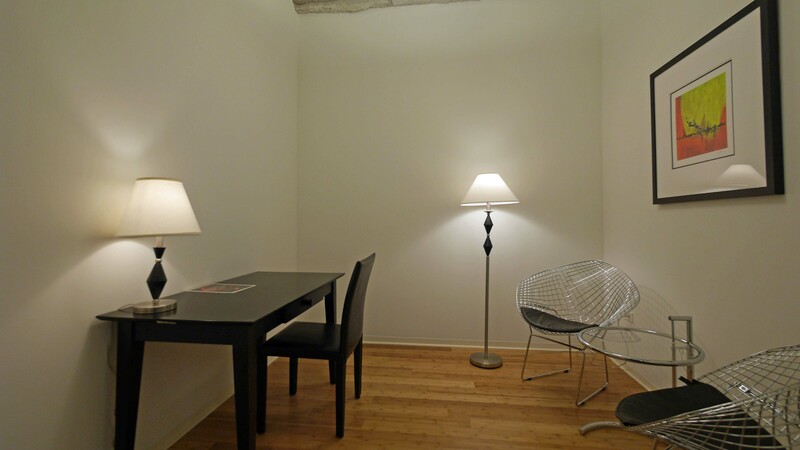 1717 has a mix of studio, one-, two- and three-bedroom apartments in both loft and traditional styles. 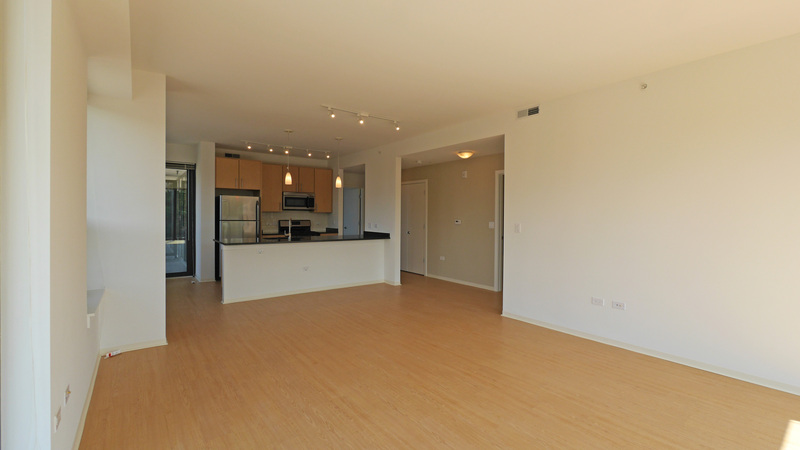 Floor plans are available online. 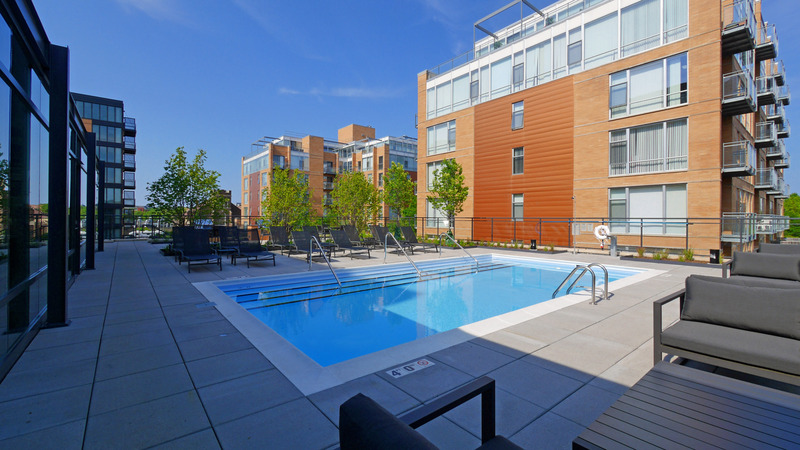 In mid-December 2014 studio rents started at $1,520, one-bedrooms at $1,690, two-bedroom, two-baths at $2,440 and three-bedroom, two-baths at $3,390. 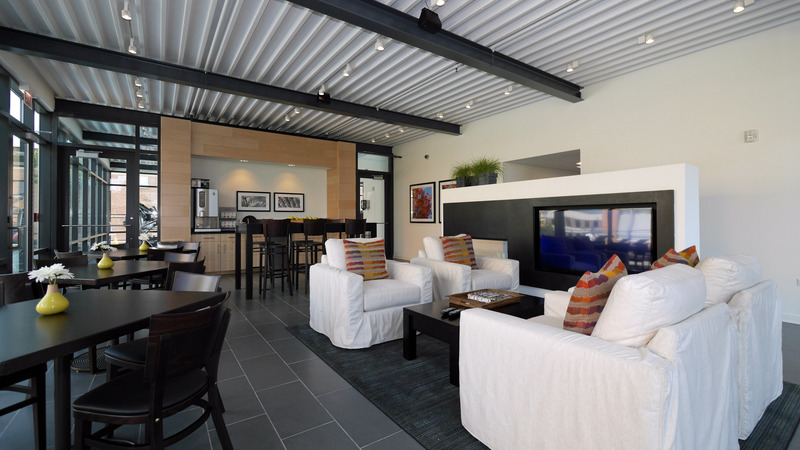 First-floor units have a loft aesthetic with high ceilings, exposed ductwork and concrete ceilings. 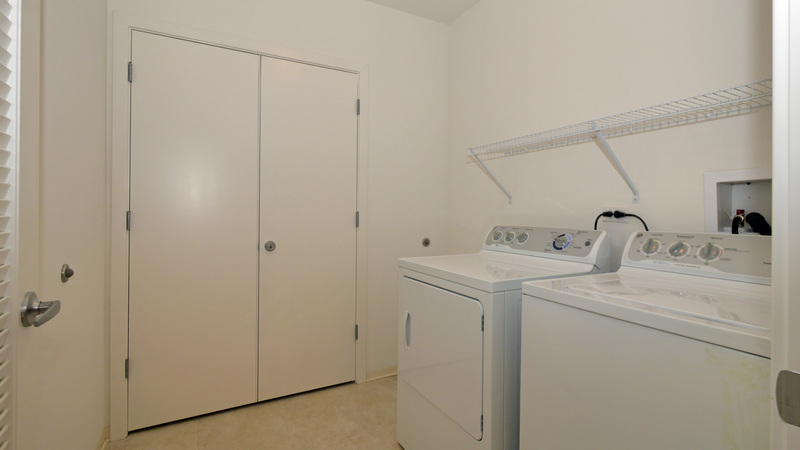 Some of the loft-style units have a full laundry room, an office nook and a walk-out terrace. 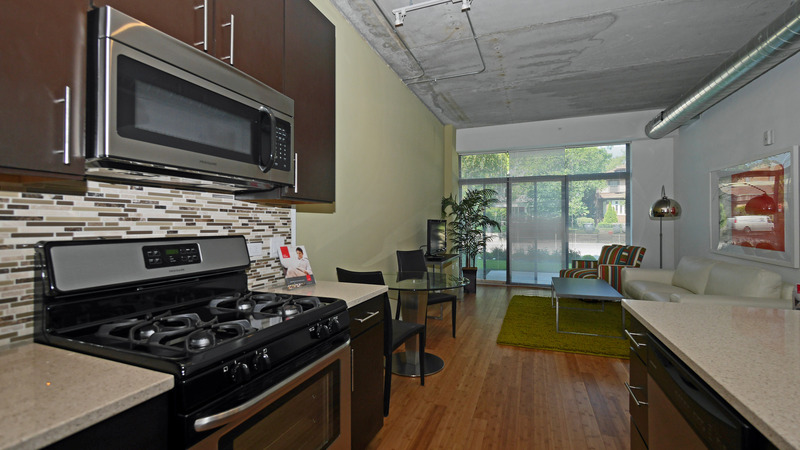 Apartments have high ceilings, wood-look floors in living areas, and kitchens with ample cabinet and counter space. Kitchens have granite counter tops, tile backsplashes and stainless steel appliance packages with gas ranges, dishwashers and built-in microwaves. 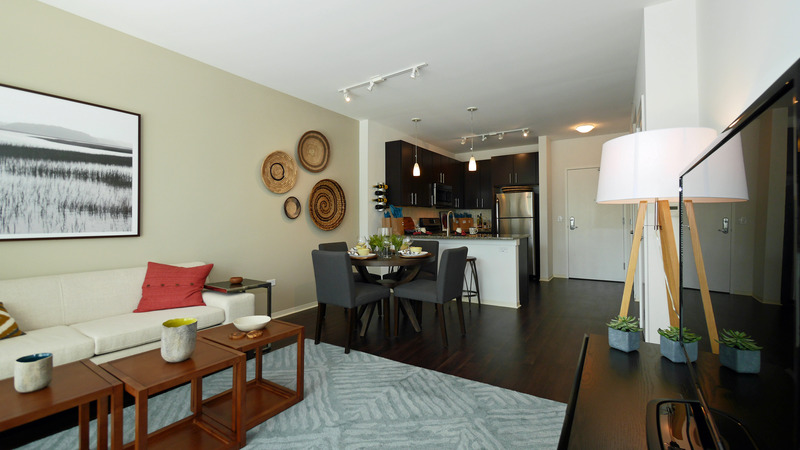 Interior finishes are available in both dark espresso and light wheat finishes. 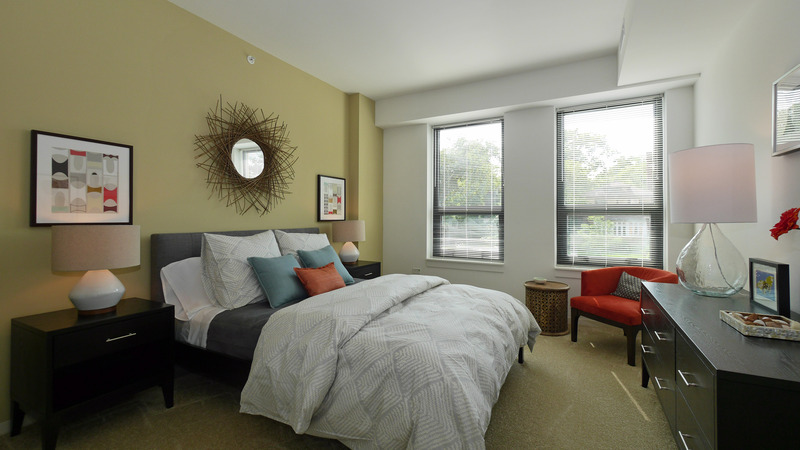 Bedrooms are typically large enough to accommodate multiple pieces of furniture. Several two-bedroom plans have the split-bedroom layout that’s popular with roommates and people who work from home. Baths have large vanities. 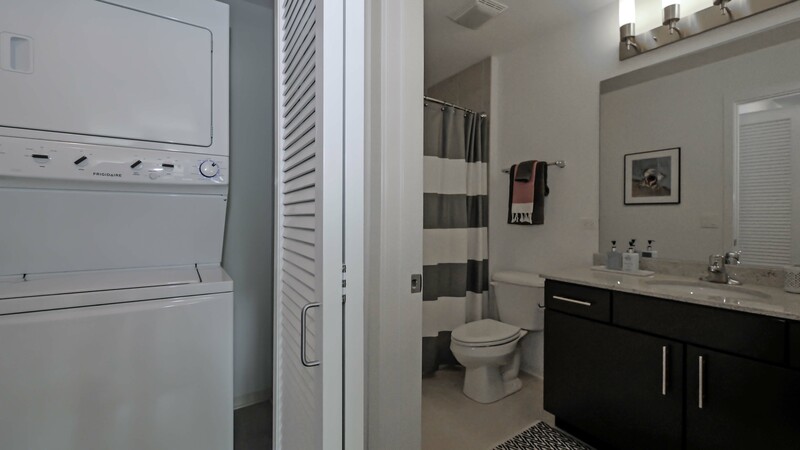 All of the units have in-unit washer / dryers. Most of the units have balconies or terraces. 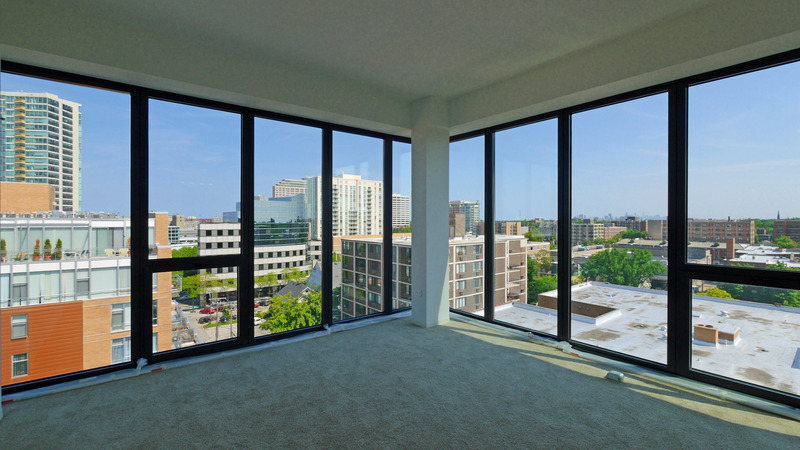 Penthouse-level units have floor-to-ceiling windows. Views. West-facing units look over the homes of the Ridge Historic District. 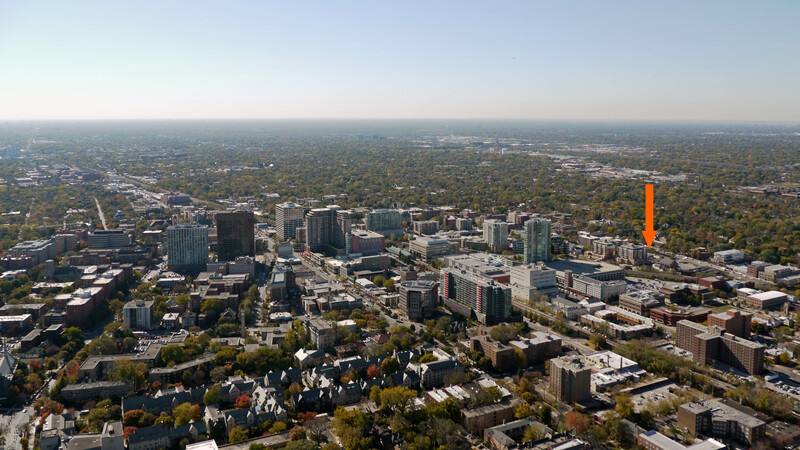 Higher-floor east-facing units have views of downtown Evanston. 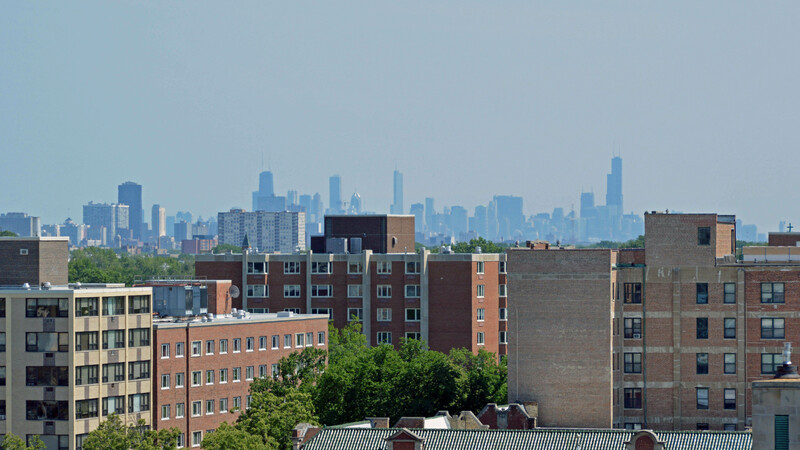 Some of the penthouse-level units have views of the Chicago skyline. 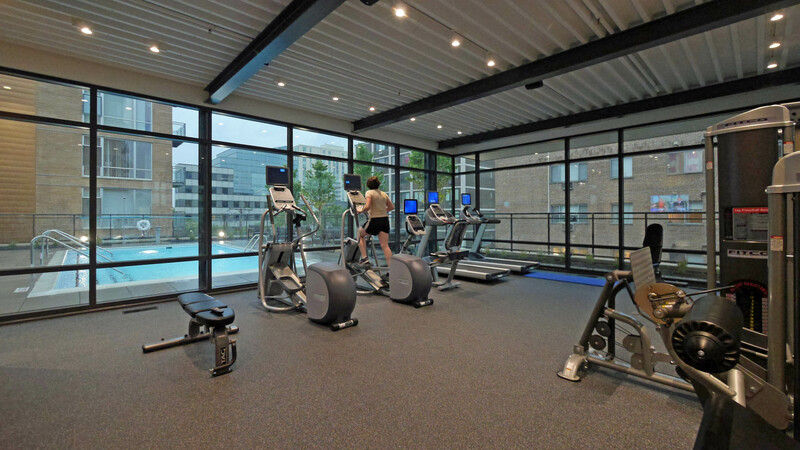 1717 has unusually extensive amenities for a 175-unit building. 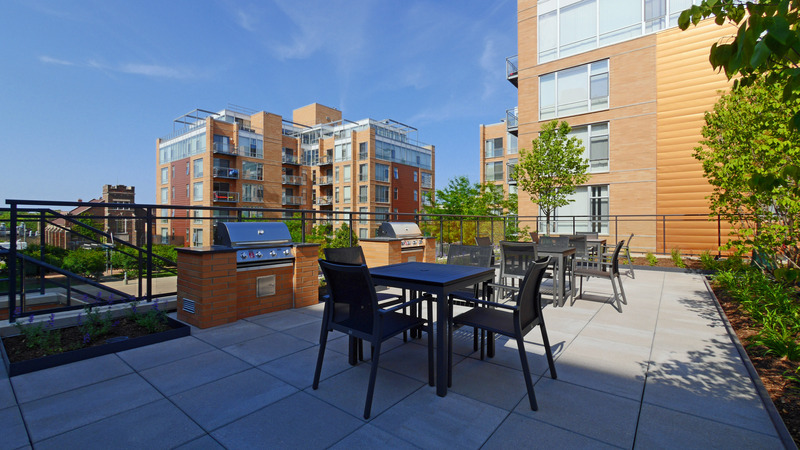 There’s a large landscaped pool deck with multiple seating areas and gas grills. 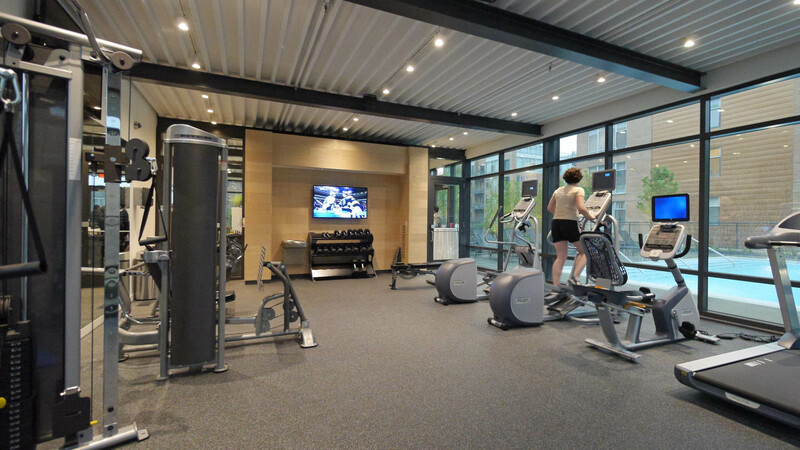 Adjacent to the pool deck there’s a resident lounge / café and a fitness room with strength training and cardio equipment. 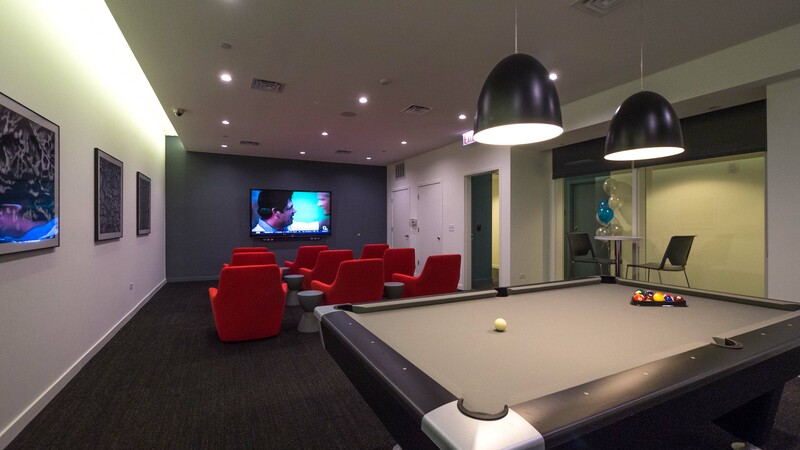 1717 has a first-floor theater / game room adjacent to an additional resident lounge. The building also has a business center. 1717 is pet-friendly and smoke-free. 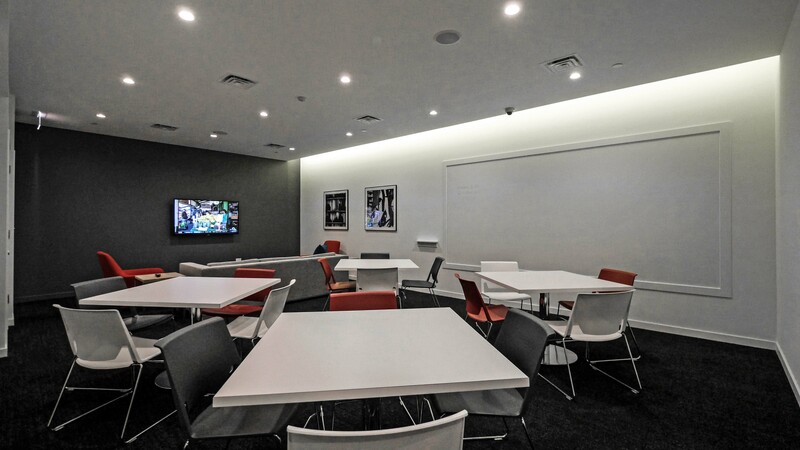 The building has on-site leasing, management and maintenance staff. Garage parking is available on-site. 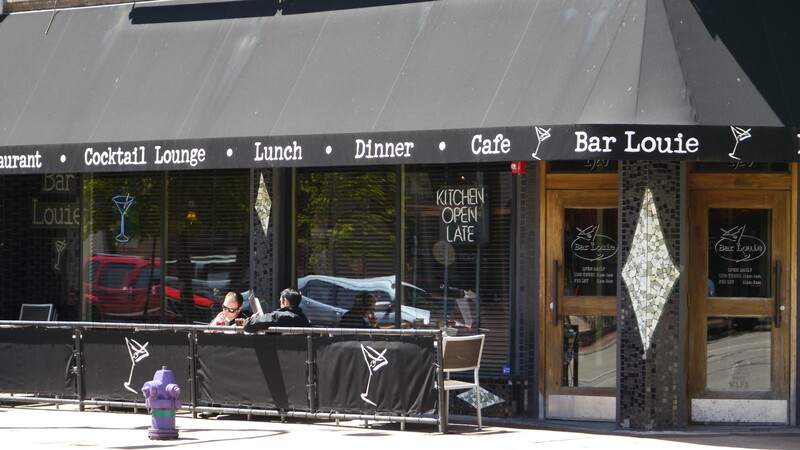 1717 is on busy Ridge Ave at the edge of downtown Evanston. 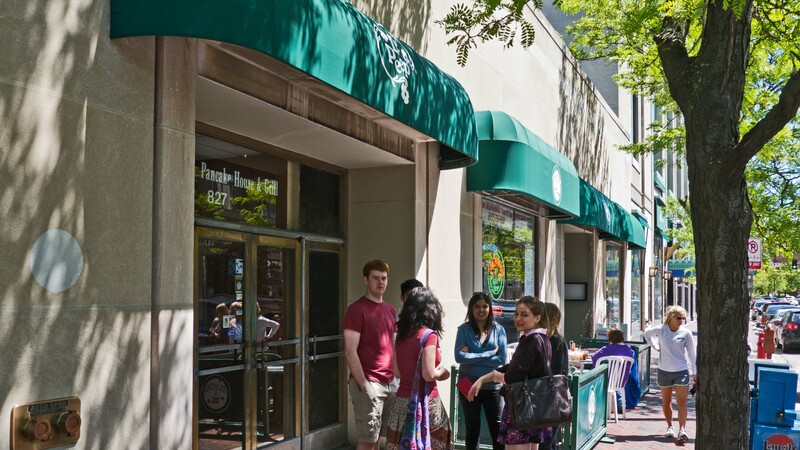 The location is a few blocks from shopping, bars, restaurants, coffee shops and public transportation. 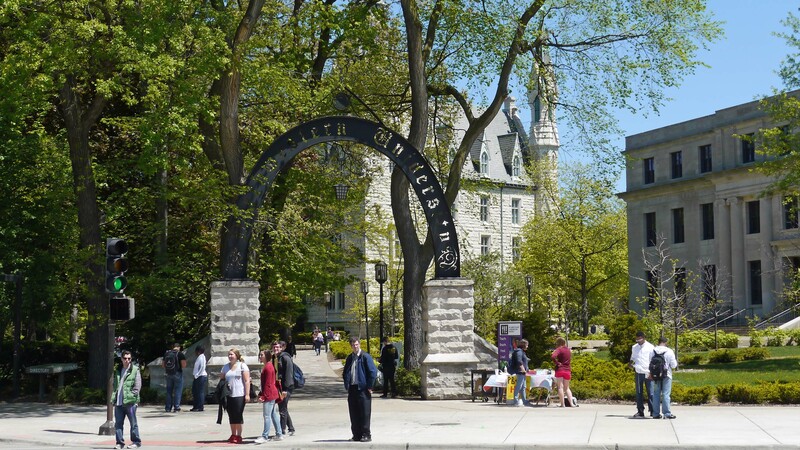 1717 is just under a mile from the Northwestern University campus and just over a mile from Evanston Hospital. Shopping. 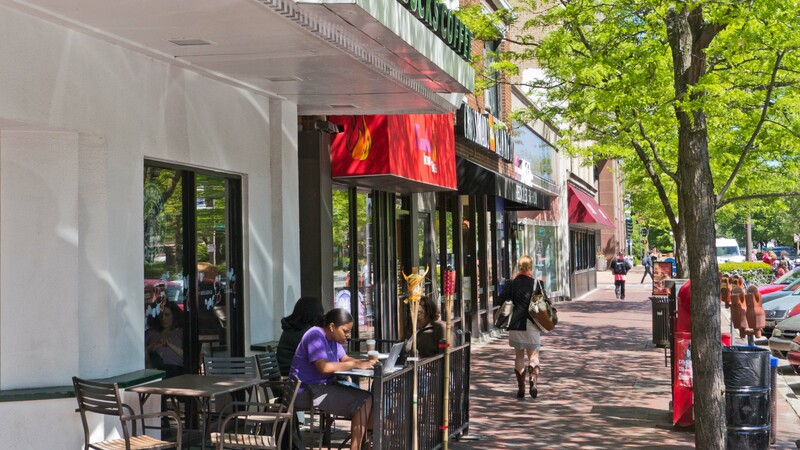 1717 has good proximity to retail shops in downtown Evanston. 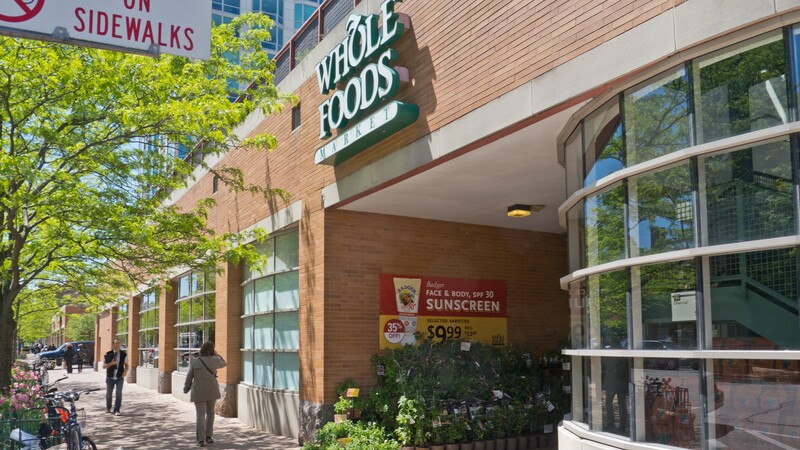 The nearest full-service grocery, Whole Foods, is just over half a mile east on Chicago Ave. 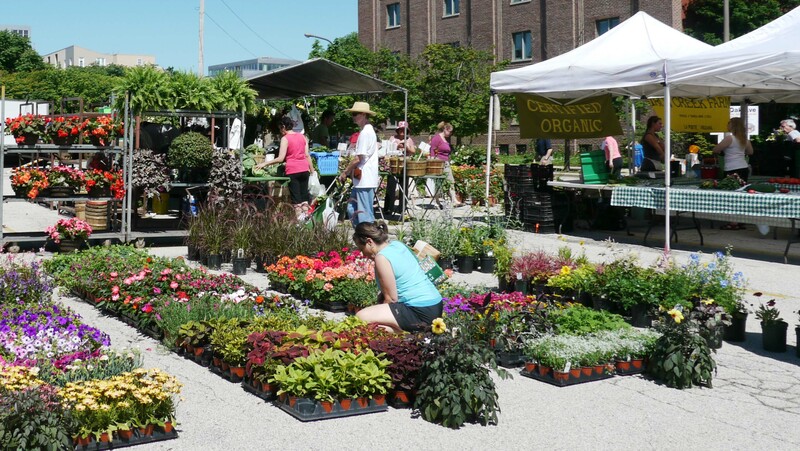 The nearest Jewel-Osco is a mile away on Chicago Ave.
Evanston’s downtown farmers market, the best on Chicago’s North Shore, draws more than 50 vendors to a location several blocks from the building. 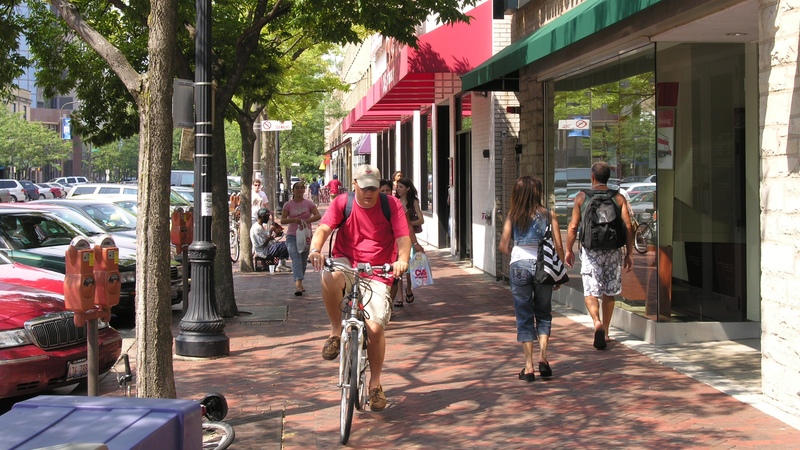 Downtown Evanston, a few blocks east of 1717, offers an eclectic mix of locally-owned boutiques and name-brand retailers.. 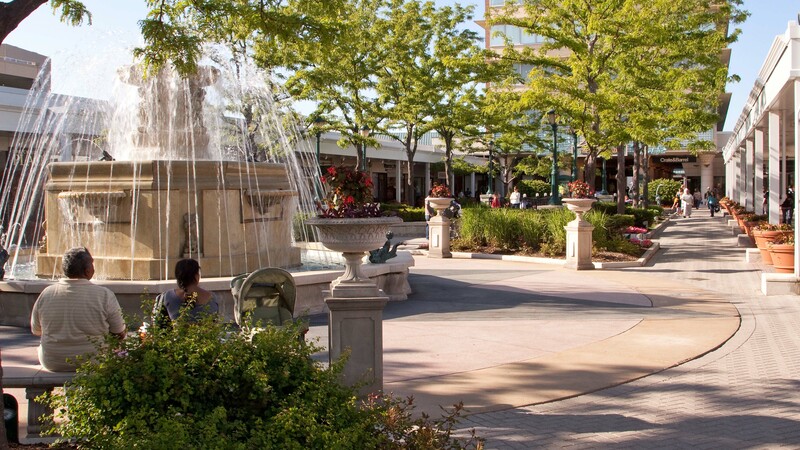 The upscale Westfield Old Orchard shopping center, anchored by Macy’s, Bloomingdales and Nordstrom, is 3 ½ miles west of 1717. 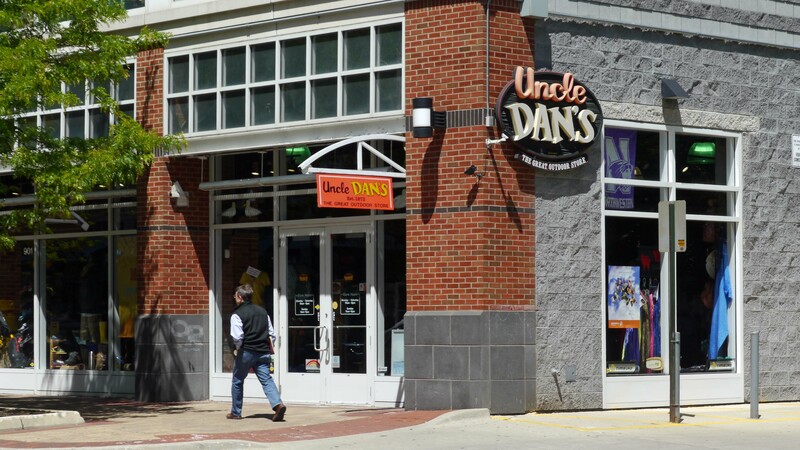 Dining, nightlife, entertainment. 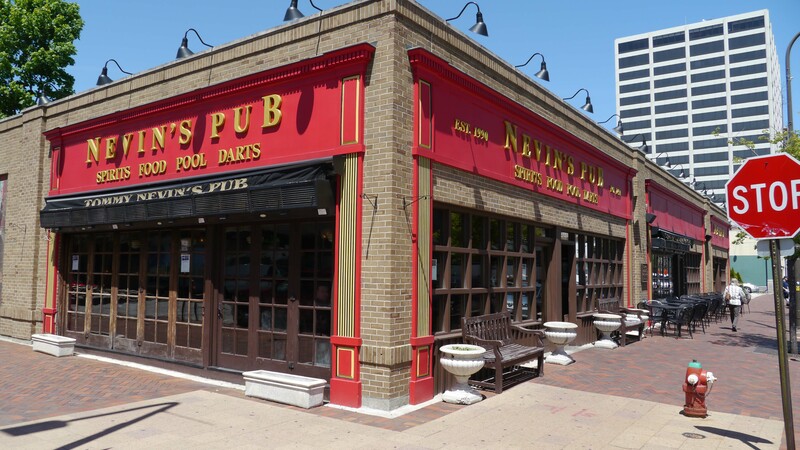 There are dozens of restaurants and bars within walking distance of 1717. 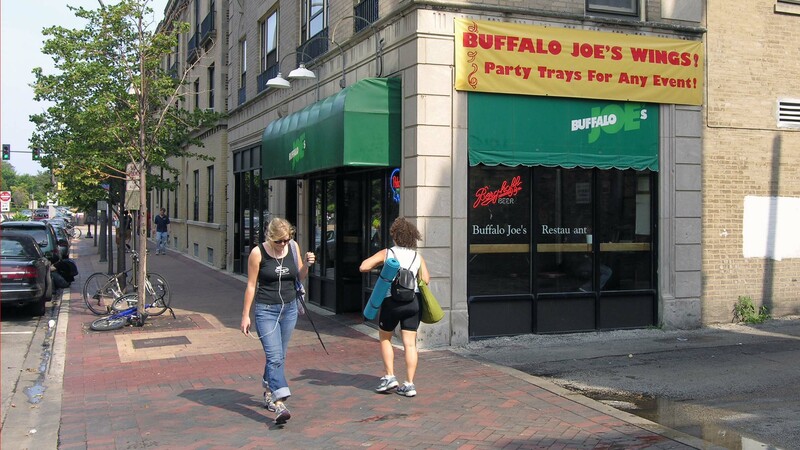 Some of the locals contend that Buffalo Joe’s, a few blocks from 1717, has the best wings in America. You’ll almost always have a weekend wait for breakfast at Le Peep or its next-door neighbor Dixie Kitchen, a few blocks east of 1717 on Church St.
As you’d expect in a college town, national brands have a strong presence, but there are enough one-of-a-kind restaurants near 1717 to satisfy almost every palate. 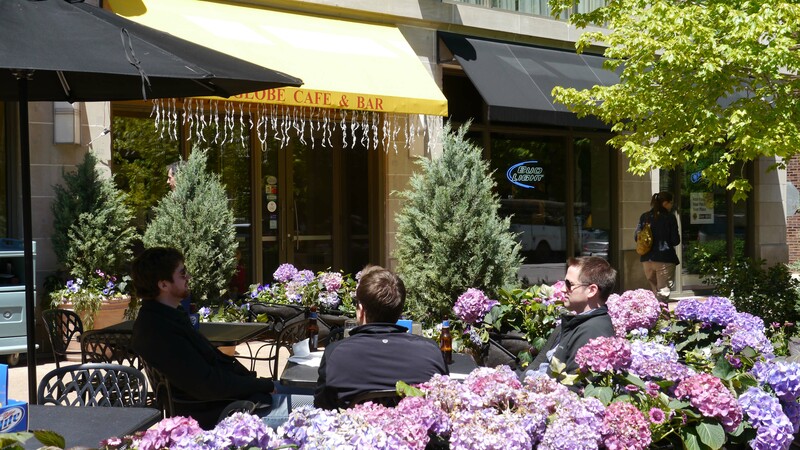 And there are scores more a bit further afield in Evanston’s quirky neighborhoods. 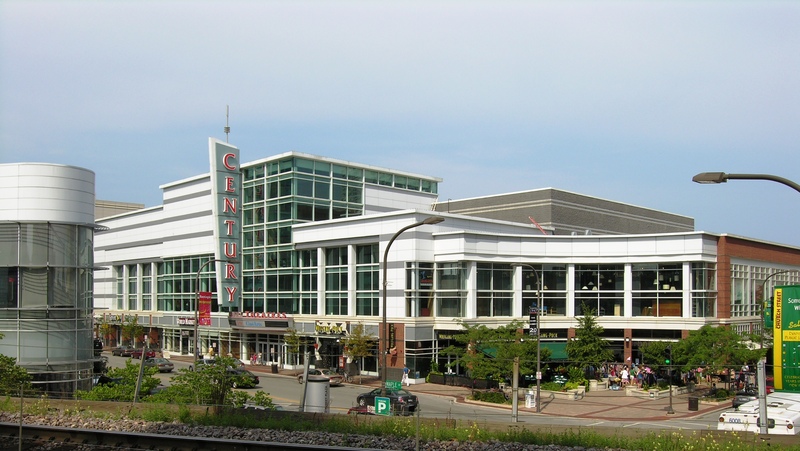 The Century 12 Cinemark movie theater is a few minutes’ walk from 1717. 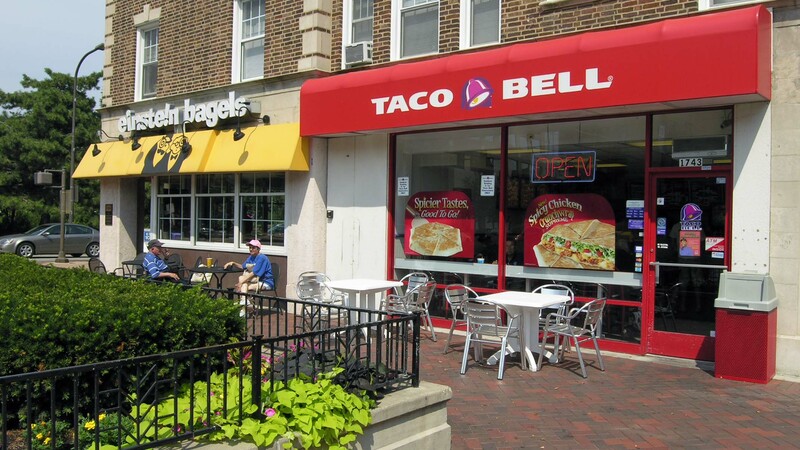 Evanston has a respectable live theatre scene. 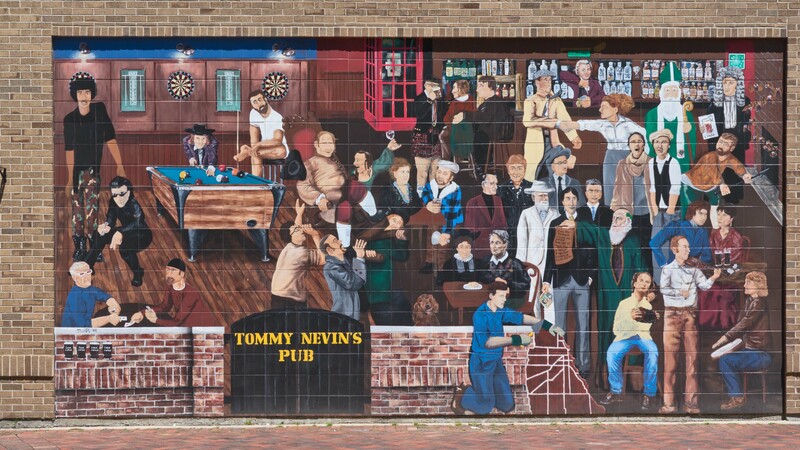 A number of Evanston’s street festivals and outdoor concerts take place near 1717. Parks, recreation. 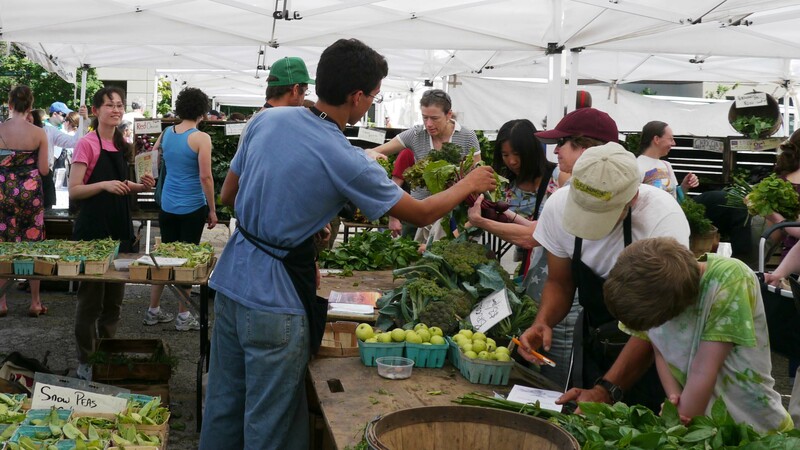 The location is not convenient to public parks and outdoor recreational areas. 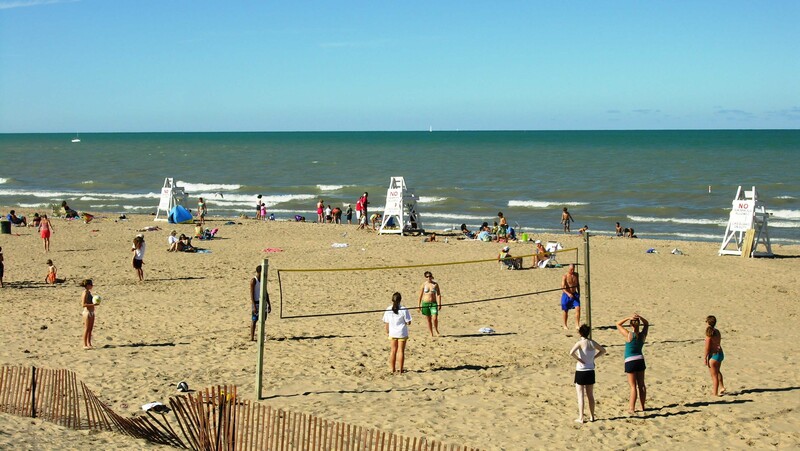 Evanston’s public beaches are about a mile from the building. Transportation. 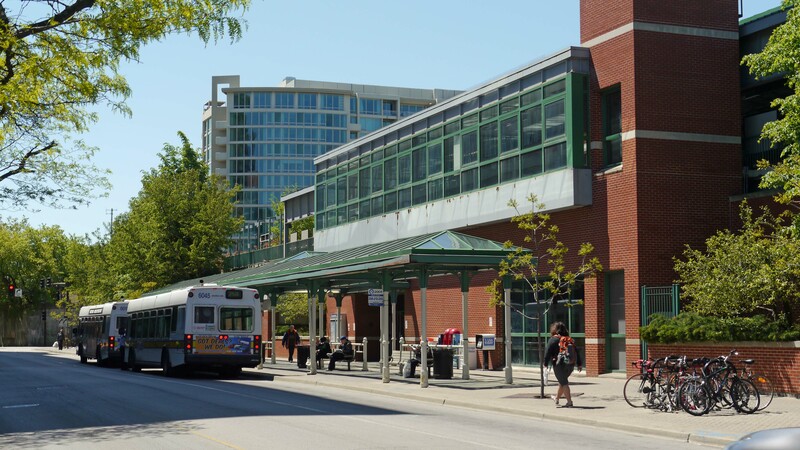 1717 has good access to public transportation. 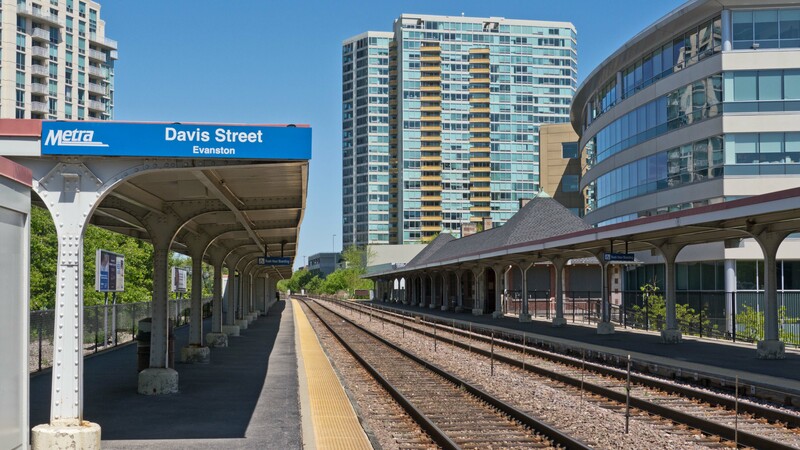 Metra’s North Line stop at Davis St is about a 5-minute walk from the building. 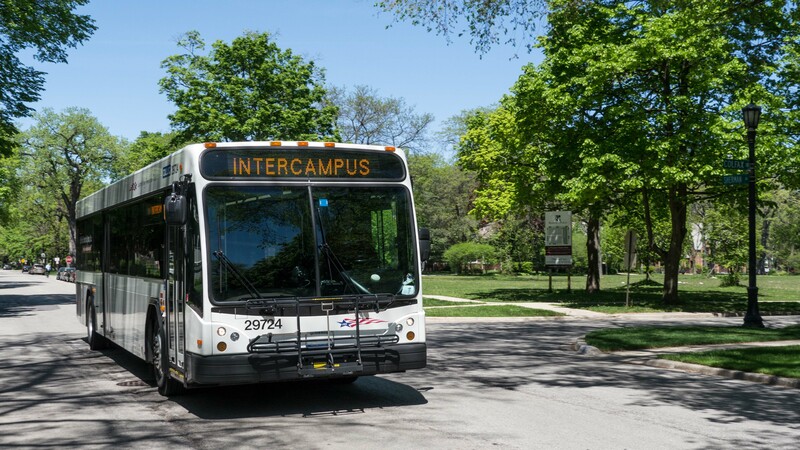 Northwestern’s Evanston loop shuttle and four Pace Bus routes, #201, #205, #208 and #213, are steps from the building on Church St. Northwestern’s Intercampus shuttle is just north of 1717 on Emerson. If you’ve lived at or visited 1717, and are not a real estate agent, add your thoughts in a comment. Comments are moderated, and commercial messages are not allowed.